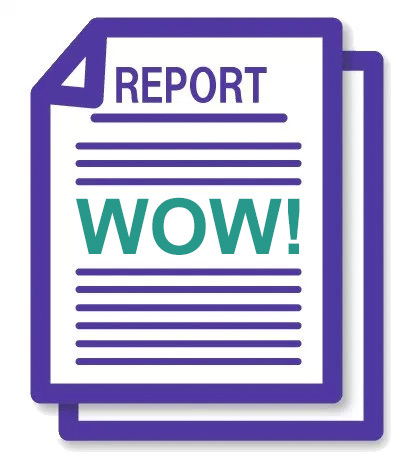 Why is our “WOW” report critical to your practice? In 48 hours we invest extensive time and labor to prepare a no-cost, detailed sample analysis explaining why you have thousands of dollars in outstanding insurance A/R. These efforts will validate our expertise to earn your business. Our ‘WOW’ report shows you where your billing company missed the mark. We provide a specific road map to recover significant amounts of lost revenue. One of your most valuable but frustrating assets is your insurance accounts receivable. We help doctors just like you recover thousands of dollars in lost A/R. We turn aged accounts into real bottom line assets. We put money in your bank that was not there before and was very likely never going to be. What could our team do for your practice? Our WOW Report allows us to build your confidence and trust in our capabilities with absolutely no risk to you! We employ a system developed to a high degree of complexity to analyze the insurance A/R, investing significant time and resources, to show you exactly where your current biller or billing company is missing the mark. Within 48 hours you receive detailed information regarding not only why your claims denied, but more importantly what needs to be done to correct the issues. Our team has the type of bulldog tenacity that allowed one of our specialists to collect over $1 million for a major hospital for ER Room charges that were previously being written off. All because of her dogged determination to find the 5 little words in the Medi-Cal Billing Manual that would get those claims paid. That is the kind of tenacity we can put to work for you! OUR TEAM OF EXPERTS SPECIALIZE IN REVENUE CYCLE MANAGEMENT AND COLLECTION OF OLD ACCOUNTS RECEIVABLE (A/R) THAT TYPICALLY ENDS UP BEING WRITTEN OFF. We are subject matter experts in the fields of Fee for Service, as well as managed Medicare, Medicaid, and commercial insurances. Experts in managing commercial appeals, Medicare appeals, ADRs, RAC Audits, MAC redeterminations, ALJ hearings, as well as Medicaid appeals for multiple states. Experienced in specialty collections such as Third-Party billing, Workers Compensation and Medicare MSP claims processing. Experts at analyzing accounts receivable to formulate effective plans of action for A/R clean-up as evidenced by the collection of $200 million on a $360 million A/R project. Highly experienced with reading and interpreting insurance contracts and fee schedules to ensure receipt of full payments. How much money you currently have outstanding in A/R? How much money you are writing off each month? Why this money is being written off? The largest claim denial reasons that are contributing to that money being written off? You will receive detailed reports showing exactly what is happening with your claims. We will never keep you in the dark, and we will work with your office staff to correct issues that are causing denials and write offs. Many companies outsource to companies overseas where much of the work is done by inexperienced personnel. We take pride in being a 100% US based company with all personnel located in America. When you call us, you can feel comfortable knowing you are speaking with a highly skilled representative right here in the USA.